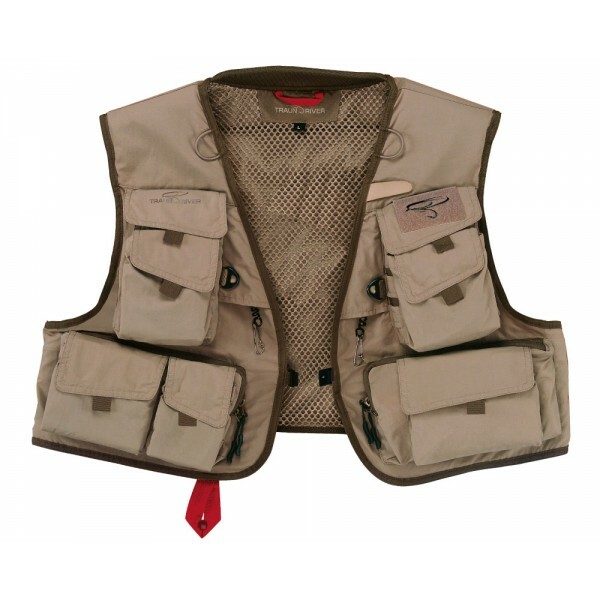 This fashionably designed fly fishing vest employs micro fibre as a surface material, providing comfort in almost any weather condition. With 18 pockets. This fashionably designed fly fishing vest employs micro fibre as a surface material, providing comfort in almost any weather condition. On rainy days the material absorbs very little moisture and dries quickly once the heavens clear again. It was a sturdy, comfortable, inner mesh. 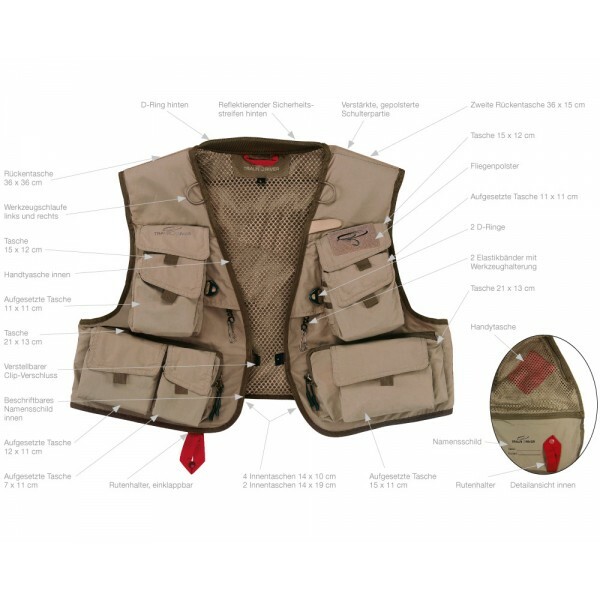 Shoulder padding prevents a fully loaded vest cutting into your neck.